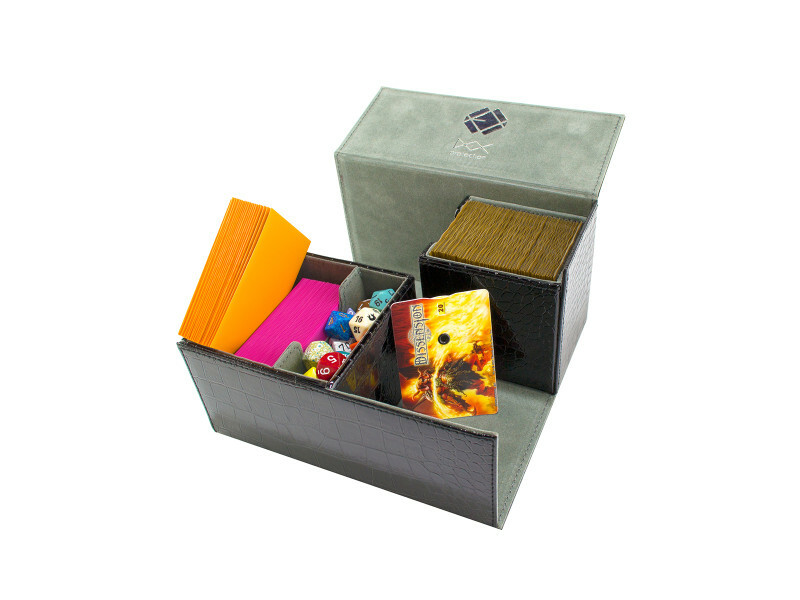 The deck box features three spacious compartments for use. The main compartment houses 100-110 double sleeved cards. 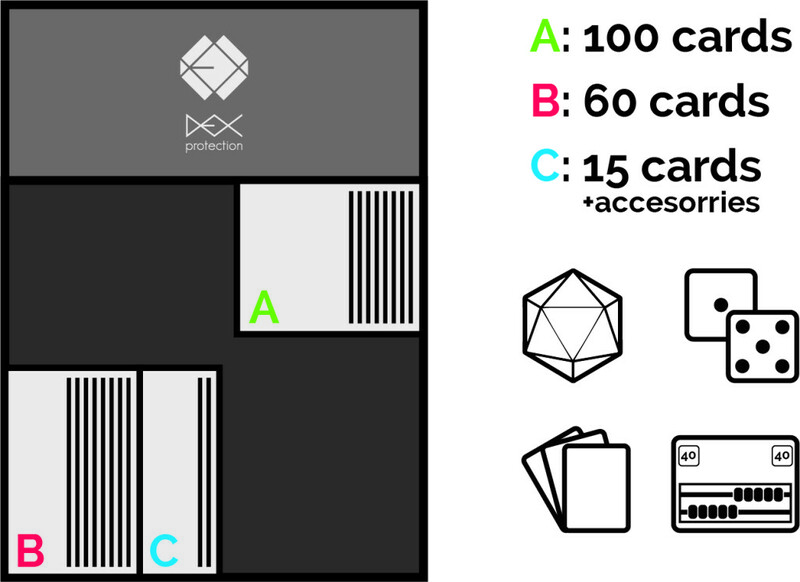 The second compartment is perfect for competitive constructed decks of 60 cards with accessories. 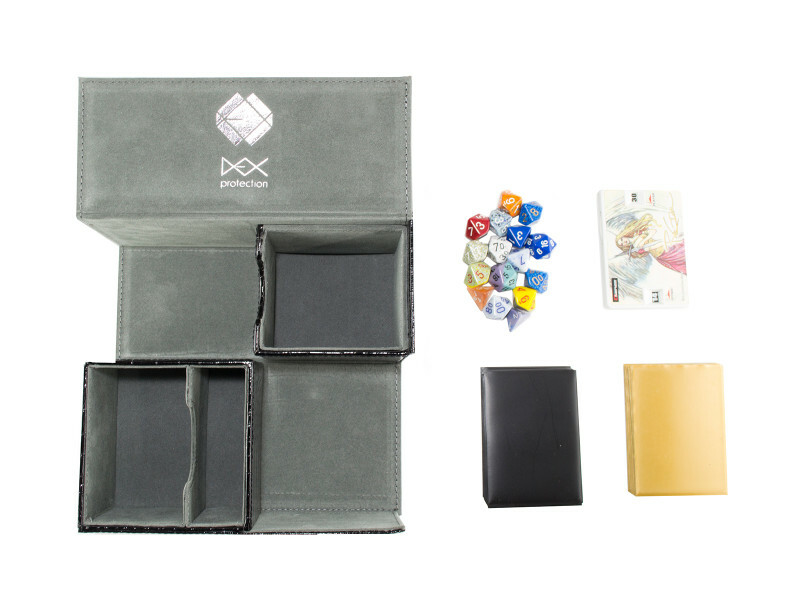 The third smaller divided compartment can be used to store miscellaneous gaming accessories such as life counters, dice, extra sleeves, and small notepads. 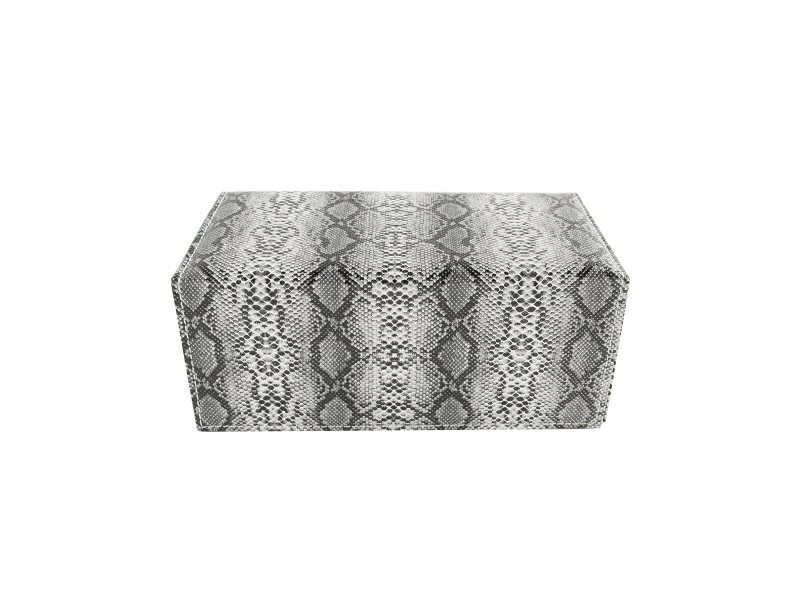 The exterior is a vinyl material and padded on the top.